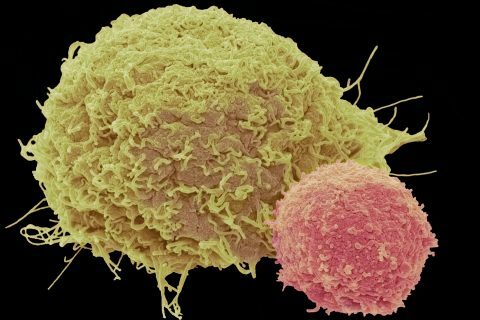 Even as you lounge on the couch or take a relaxing stroll on the beach, your cells are being put to the test. They are constantly adapting to temperature changes, exposure to toxic substances and general wear and tear. But don’t worry — for the most part, that stress is good. It prompts your cells to spring into action, repairing and removing damaged proteins. As we get older, however, our ability to fix cellular damage drops. That opens the door to disability and disease. USC alumna Laura Corrales-Diaz Pomatto believes if we could protect or restore that ability in our twilight years, we might live longer and healthier lives. The recent PhD graduate of the USC Leonard Davis School of Gerontology has dedicated her burgeoning research career to testing that theory by understanding how the body adapts to cellular stress. Pomatto was inspired in part to pursue a career in aging research after growing up near her paternal grandparents and watching them go through the aging process. They were fortunate to remain in good health for much of their lives, and she became intrigued with finding ways to prolong wellness for as long as possible. Pomatto heads to Baltimore this spring to begin a prestigious three-year postdoctoral fellowship with the National Institute on Aging, where she will explore whether strategies like following a fasting diet can restore our ability to adapt to cellular stress. She is particularly interested in a culprit known as oxidative stress, caused in part by our reliance on oxygen. The life-giving element is essential to our survival, but no system is perfect. Using oxygen to transform food into energy creates harmful byproducts. As we age, our ability to handle those damaging molecules declines. 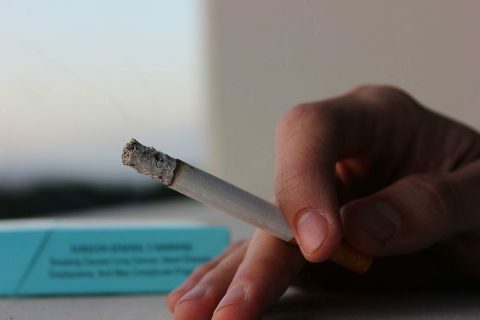 Scientists believe that may play a role in the development of cancer, heart failure, Alzheimer’s disease, autism and depression, among other conditions. 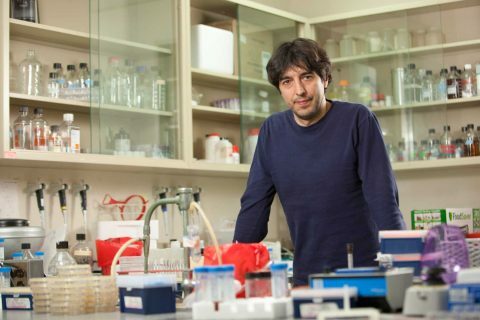 Pomatto is the first graduate of the school’s newest degree program in the biology of aging, a joint program with the Buck Institute for Research on Aging that focuses on molecular, cellular and regenerative medicine. Her current work as a postdoctoral scholar in the lab of Kelvin Davies, the James E. Birren Chair in Gerontology and dean of faculty and research, explores how cells adapt to oxidative stress through certain defense mechanisms, including two enzymes known as the 20S proteasome and Lon protease. Pomatto primarily studies those repair systems in fruit flies, which make for good lab subjects thanks to their short life span and shared genetic makeup with humans. In young fruit flies, the defense mechanisms react to stress rapidly. But in older flies, the response is sluggish and less effective. She found similar results with roundworms, mice and human cell cultures. Pomatto and her fellow researchers recently broke new ground when they found that female fruit flies are better able to cope with certain oxidants. That might explain why women tend to outlive men, she said. Now the researchers are trying to isolate specific tissues in female fruit flies that trigger the 20S and Lon defenses. 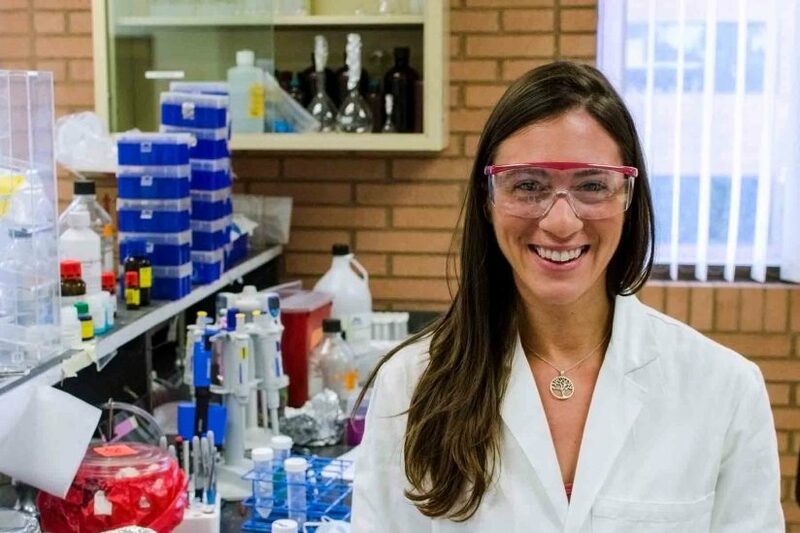 As Pomatto transitions into her postdoctoral research at the National Institute on Aging, she is interested in exploring another promising strategy: whether eating less can protect the ability to handle cellular stress. Studies show that worms, fruit flies and mice live longer if they fast — going for extended breaks without any food, she said. 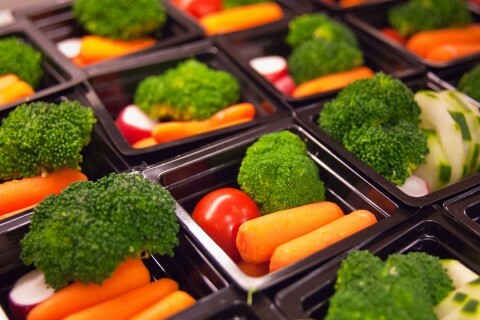 Called “caloric restriction” by scientists, the act of going hungry might help cells adapt to stress. Fasting appears to set off a process that activates cell repair systems like the Lon protease. When people do intermittent fasting, they are kind of stressing their body, but it can actually be protective. 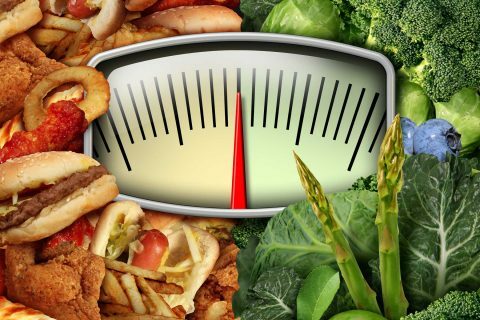 Even if caloric restriction doesn’t extend the human life span by helping our cells deal with oxidative stress, it could be a cost-effective way to prolong wellness. Pomatto credits USC’s generous support, including a Presidential Scholarship and the Tappan Foundation Scholarship, for providing a meaningful undergraduate experience. She completed dual majors in biomedical engineering and gerontology, along with a master’s in biomedical engineering through the USC Viterbi School of Engineering’s progressive degree program. 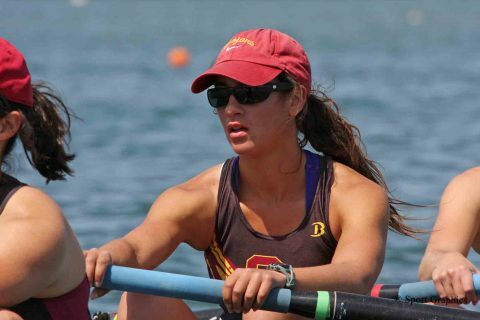 Despite her heavy course load, she also competed with the USC women’s rowing team, and she continues to train with the Long Beach Rowing Association. Her passion for scientific research developed in part thanks to USC’s endowment-funded Provost’s Undergrad Research Fellowship, which encourages students to pursue research in any field by providing a $1,000 stipend each semester. Pomatto also took advantage of $5,000 in funding from the Rose Hills Summer Research Fellowship program, allowing her to keep up with her lab work for two summers. As a doctoral student, she received multiple university and national fellowships, including the USC Provost’s Fellowship and a highly selective graduate research fellowship from the National Science Foundation. When she graduated last year, Pomatto received a $2,500 award from the USC Leonard Davis School in recognition of her accomplishments. She promptly returned the money to establish a research fund for gerontology undergrads. A randomized trial shows cycles of a five-day fasting diet designed by a USC researcher safely reduces the risk factors for age-related diseases. A low-calorie fasting-like diet, plus chemotherapy, enables the immune system to recognize and kill skin and breast cancer cells, according to a new USC-led study.